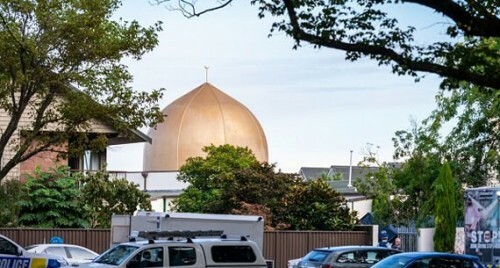 Canberra, April 3 (IANS) The Australian Senate on Wednesday slammed a lawmaker for blaming Muslim immigration as the cause for the New Zealand mosque attacks that killed 50 people. Senator Fraser Anning, a far-right independent, made his comments on the day of the shootings in Christchurch. The Upper House passed the censure motion against him without a single unfavourable vote, in what was a symbolic move that does not carry with it Anning's expulsion from the legislative body. Lawmakers from across the political spectrum condemned his "inflammatory and divisive" remarks. In response, Anning said the censure was "an attack on free speech", the BBC reported. The reprimand, the fifth to be passed by the Senate in the past decade, stated that Anning's remarks on the March 15 attack did not reflect the views of the Parliament or the Australian people. "It's absolutely right to censure Senator Anning and anyone else within our community who seeks to use a horrific tragedy like this one as an opportunity to vilify and divide people based on their religious belief," said Australian Finance Minister Mathias Cormann. Following the Christchurch carnage -- the deadliest in New Zealand's history -- Anning had said that "the real cause of bloodshed on New Zealand streets today is the immigration programme that allowed Muslim fanatics to migrate to New Zealand in the first place". The leader of the opposition in the Senate, Penny Wong, described Anning's anti-Muslim remarks as "pathetic" and "shameful", Efe news reported. Wong said that "his inflammatory and divisive comments seek to attribute blame to the victims of a horrific crime and to vilify people on the basis of religion". Anning was not present in the Senate during the motion against him. The Queensland Senator had said before the motion that "my real crime is that I simply told the truth" when the media and the leaders did not want to hear it. Anning, who in the past used a term linked to the Nazi plan for exterminating all Jewish people - "final solution" - by calling for it to be applied to immigrants in Australia, was also involved in an altercation with a teenager who cracked an egg on his forehead following his comments about the attack.